David Grossman (Jerusalem, 1954) is one of the most important contemporary writers in the world and certainly the most important contemporary Israeli author. Known as a novelist, story writer, essayist and playwright, Grossman is the author of lucid and provocative engaged texts and political non-fiction, usually dealing with the Middle-eastern topics. Selected books of fiction: The Smile of the Lamb, The Book of Intimate Grammar, The Zig-Zag Kid, See Under: Love, Be My Knife, Someone to Run With, Her Body Knows, Lion’s Honey, Until the End of the Land. He has published several books of children’s fiction, most important being the short novel Duel. The most important books of non-fiction: Yellow Wind, Sleeping on a Wire: Conversations with Palestinians in Israel, Death as a Way of Life. There are two films made after Grossman’s novels: The Smile of the Lamb and See Under: Love. 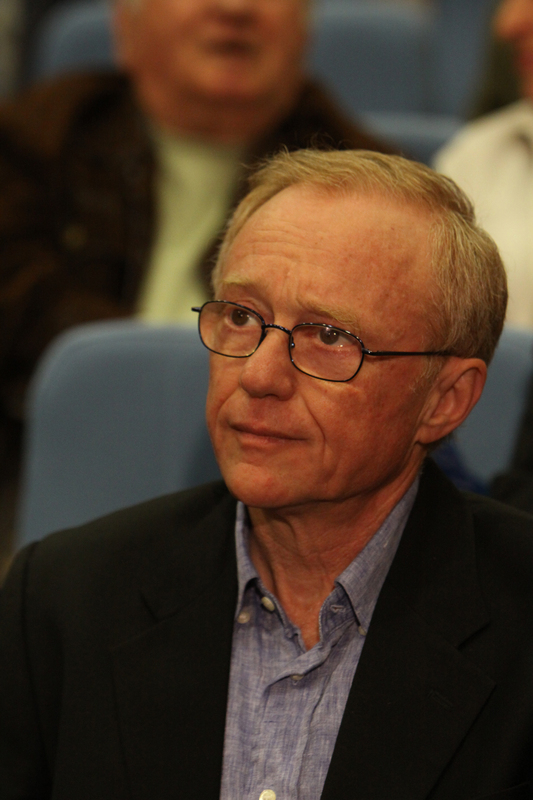 David Grossman’s works have been translated in over 25 languages, and the author has received numerous prestigious international literary awards. He has been among the top candidates for the Nobel Prize for literature in the last several years. Grossman has been presented with numerous awards including Chevalier de l’Ordre des Artes et des Lettres (France), Valumbrosa Prize (Italy), Prix Eliette Von Karajan (Austria), Premio Grinzane (Italy), PremioMondelo (Italy), Vittorio de Sica Prize (Italy) the Marsh Award for Children’s Literature in Translation (UK), the Juliet Club Prize (Italy), the Buxtehuder Bulle 2001 (Germany), the Sapir Prize (2001), the Premio per la Pace e l’Azione Umanitaria 2006 (City of Rome/Italy), Onorificenzadella Stella SolidaritaItaliana 2007, Premio Ischia – International Award for Journalism 2007, the EMET Award 2007 (Israel), the Geschwister Scholl Prize 2008 (Germany) and the Albatros 2010 awarded by the Guenther Grass Foundation. The author has been the recipient of the prestigious Peace Prize of the German Booksellers Association in Frankfurt 2010. Arhipelag has published the following books of fiction by Grossman in Serbian: See Under: Love, Her Body Knows and Until the End of the Land for which the author has received worldwide acclaim.